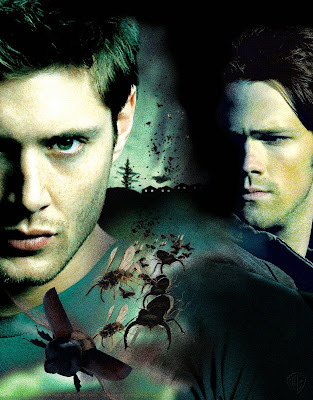 Two brothers, Sam and Dean Winchester, team up to find their father, John, who went missing on a hunting trip. However, their father isn't a typical hunter: he hunts supernatural creatures like ghosts, vampires, and various demons and he's trained his sons to do the same. Along the way, Sam and Dean save innocent people, fight creatures and ghosts, and collect clues to their father's whereabouts. One of the best shows on television that no one is watching. It is finally getting some recognition now in its 5th season. There is one more season to go, and all past seasons are on DVD. Seriously if you like ghosts/horror/action/family stories (I know weird combo but it works so well) then check it out!